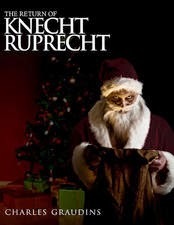 Olivia Black's "Return of Knecht Ruprecht" is a fantasy holiday book aimed at tweens, yet suitable for older readers. The book opens by introducing the reader to Jack, Chance, Ashley, characters with very different personalities. Mr. Hecht lives on the same street. He is viewed as nice yet creepy by his neighbors; Jack however decides it's a good idea to invite him to the Christmas Eve dinner. Mr. Hecht shows up, secrets are revealed and plot kicks into gear,. Soon, the children are in a magical land with Cinnamon Men and Krampuses. Black builds a world that completely immerses the reader in fantasy and holiday lore. She does a great job capturing the magic with her descriptive writing, and she writes dynamic, believable characters that move the story forward. This book is a must-read for anyone who wants a break from the traditional Christmas tales, wanting instead a fresh holiday fairytale with fantasy elements.